Single-Payer Party @ Big Idea PGH, Feb 4th! 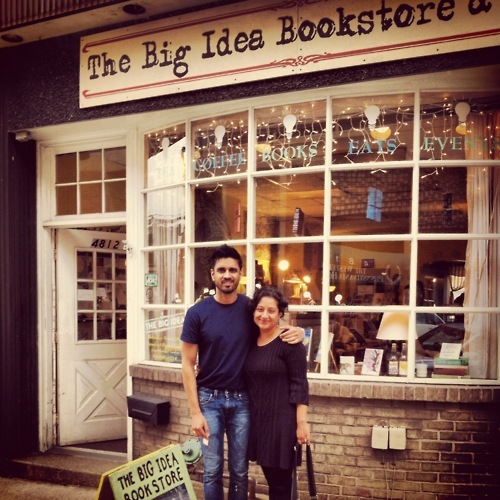 Visiting Writers at Big Idea, PGH. Join us on Tuesday, February 4th 2014 from 6:30-8pm for a single-payer party hosted by Fight Back Pittsburgh! This event is free and open to the public. Come down to the Big Idea Book Store (4812 Liberty Avenue, Pittsburgh, PA 15224), grab a coffee and cookie, and learn about the fight for universal healthcare with Jonathan Kissam, visiting healthcare pioneer from Vermont! On Tuesday evening, we’ll enjoy a panel discussion with Jonathan Kissam of the Vermont Workers’ Center and Mitch Troutman of Put People First! PA! Jonathan will discuss the Healthcare Is a Human Rights campaign that led to the healthcare bill, and the subsequent Put People First campaign that has brought people together across movements to win real victories. Mitch will talk about a similar campaign to be launched in PA, and how Pittsburghers can get involved. Can’t wait to see you all there! RSVP/Learn More at the FB Event Page.